Timber Frame Construction is where our passion lies and the finished product represents our core values. Building this way truly connects our craftsmen to fundamentals dating back roughly two millennia. It is a thing of beauty watching the progression of trees turning into timbers that create your home. Wheelhouse builds timber frame homes and is skilled at adding architectural timber framing into your existing plan. If you are planning an addition or remodel consider timber frame elements to add warmth to your home. We use 3-d modeling software to help you visualize and get a feel for your new space. 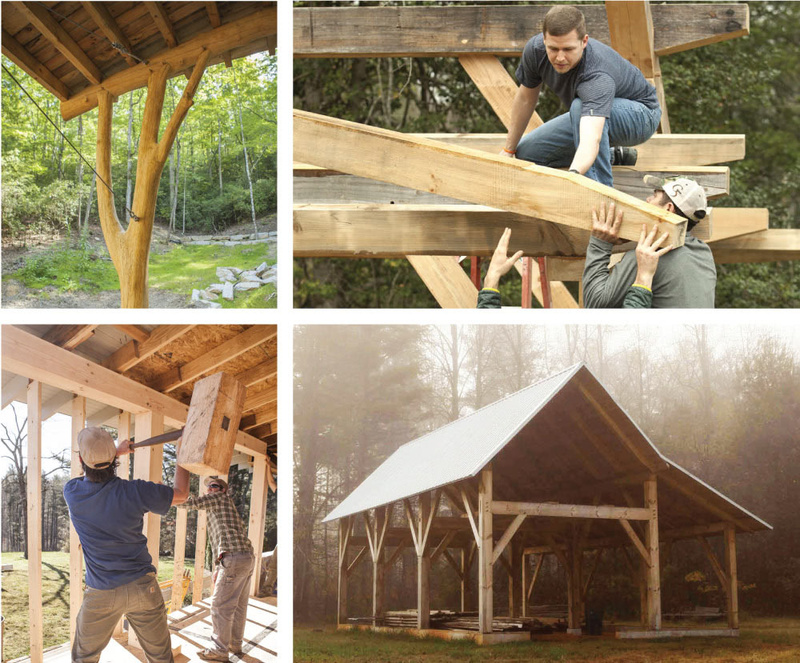 Explore our Timber Framing Services below. Our style and influence is inspired by our love of trees and all things wood. Much of our joy comes from knowing that you can see the timbers in your home were once a tree, and if you desire, we can leave the timbers in your home fully round - just as they grew. We are proud to have worked with and learned from the skilled crew at Timberhomes Vermont. Check out their website at Timberhomesllc.com for some more examples of beautiful timber frame work. In 2015 Timberhomes and Wheelhouse formed a partnership to bring Timberhomes designs to Wheelhouse clients in the southeastern US. From timber framed sheds to timber framed barns - these classic structures will allow you to keep your horses out of the weather or your firewood dry and also be a pleasure to look at. 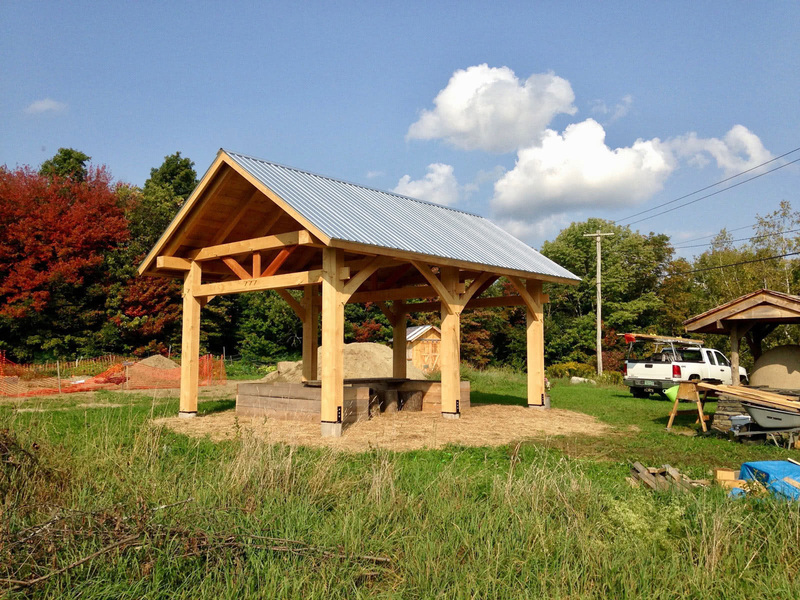 Timber framed trailhead kiosks, pergolas or screened in timber frame porches can add a specialness to your home, business or trail. Let us add warmth to your home with a timber framed entry. We can work with you to design a set of stairs that not only allows you to move from one floor to the next, but it is also a special focal point for your home. A robust flight of stairs with heavy timbers or an elegant timber framed spiral staircase will drastically change the way your space feels. Talk to us about our design services if you would really like to see how a space feels before you build. If you want an addition on an old timber frame building or you would like to incorporate the warmth and beauty of timber framing into your existing floor plan, we can help. If you would really like to see how a space feels before you build, we offer 3D Modeling.